How do Sat Nav systems work? - The science bit - Which Sat Nav? How does your Sat Nav unit work? That little sat nav unit that you have stuck to the windscreen of your car seems to be a little box of wonder. How on earth can such a small unit be able to tell us not only where we are but also what time we will arrive at our destination? It would appear to be a complicated bit of science that enables us to travel from A to B in an efficient manner. But is it really that complicated? The Satellite Navigation System was originally designed for the US Military. The idea was that the system would change the face of modern warfare forever. It was designed to allow accurate pinpointing of troop and equipment locations. Their exact whereabouts and the distances between two points would be a very powerful tool for the future – a game changer in military campaigns. The only difference between the military and civilian GPS systems is accuracy. The civilian system has a variance of around 12 metres, whilst the military version is accurate to within a few inches. Following the shooting down of Korean Air Flight 007 after it had veered into Russian air space, Reagan decreed that the GPS system would be available to civilians. This would improve aviation safety for passengers as airlines could ensure that they kept on course at all times. To this day however, the system is still maintained by the US Military. As James May points out in the video, the US Military have the ability to turn off the system at will. If you find your GPS going blank one afternoon then perhaps there is a ‘Black Ops’ situation in your vicinity! There are only 2 Global Navigational Satellite Systems (GNSS) in operation today. There is the GPS or Navstar system operated by the US Military and there is the GLONASS system operated by the Russian Military. There are other satellite systems currently being developed including the European Galileo system and the Chinese Compass system. Satellite navigation in essence, is fairly simple. Ok, the actual technology behind it all may be a little complicated but, the concept itself is relatively straightforward. We know that the Navstar system has 24 satellites in orbit. We also know that each satellite orbits the earth every 24 hours. Furthermore, each satellite contains a super accurate atomic clock. This is the most accurate time and frequency available to us. This clock broadcasts both the time and location data to other satellites and to the clocks down here on earth. The satellite receiver reads and measures the data from the various satellites and compares them using a triangulation method. A triangulation system uses the angles of known points in order to pinpoint an exact location. The more satellites the receiver has a fix on then the more accurate the readings. The actual mathematics utilised in order to calculate location is not actually that difficult, but there are factors that do make it a little more complicated. The receiving unit will usually make some allowances for the satellites being constantly in motion and for the earth being an imperfect sphere in shape. This same method of calculation is utilised by all GPS units including your car navigation systems, your running watches and by your smartphones. The receivers may all be different sizes but they do all work on the same basis. When I turn on my GPS watch before going for a run I have to wait until it finds the satellites and provides a “fix” on my location. In general, this takes around 20 – 30 seconds before it has located my position (the time this takes depends on where you are and what device you are using). Many devices today use a system of satellite caching in order to speed up the satellite acquisition process – it will find you quicker outside your home as it remembers your previous locations to an extent. Also the more satellites that my device can see then the more accurate my location data. In order to ensure that our vehicle satellite navigation units work correctly and safely manufacturers have introduced a number of other clever sensors. Hopefully this article has explained a little of how that little box on your dashboard functions using the satellite systems orbiting the earth. It’s all pretty incredible when you stop and think about it…….. I was in US Army Special Forces in the mid 1970’s, before they had GPS at the troop level. We used maps, a compass and a flimsy clear plastic protractor to determine our location. Sometimes we would be accurate to within 10 meters. Other times we’d be a kilometer off depending on terrain and other factors. The real difference was when we jumped from planes at high altitudes, 12,000 feet or more. A small error in the planes location could mean a days hike on the ground, being so far off we weren’t even in the map grid, never reaching our objective at all, or passing over dangerous obstacles like high voltage power lines at night, which actually happened. By the early ’80’s US Air Force planes had sat nav systems and the difference in accuracy was dramatic, but I still like knowing I can navigate the old fashion way. This is an interesting article talking about the technology behind satellite navigation – and anything with James May in it is entertaining to watch. It’s amazing how dependent we’ve become on this technology – basically to find directions anywhere – just type it into your phone and go. Thanks for sharing this info on what goes on behind the scenes of our navigation systems. Fascinating! I knew that the GPS was developed by the US Military, but I didn’t know the details. I had no idea that it went back as far as 1978. Now I have more information to add to my application for Jeopardy one day 🙂 Just kidding. Absolutely fascinating post, and thank you for sharing. Hi Dylan, I had no idea that there were that many satellites in orbit, dummy me was thinking their was only a couple of them and couldn’t figure out just how they could locate you, so now I know. I was wondering, you said that they have a life span of about 12 years, what happens to them after that do they burn up in the atmosphere or are they still floating up there? All in all it is amazing how it all works and is now so ingrained into our daily lives, I sure do love technology. Thanks Dylan for getting back to me, I was reading an article a couple of weeks ago, it was someone from NASA and he was talking about the space junk that is in the earths orbit, his concerns where that it will get to the point that there will be to much up there to launch any future rockets, with out colliding with them. Interesting stuff to say the least. 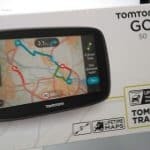 Really interesting article on how sat nav systems work ( inside the box so to speak! ). It’s the first time someone has explained this to me and it’s actually a lot easier to digest than I thought it would be! These days I’ve given up on the whole navigation thing and just use Google maps on my phone – seems to work just as well! It is interesting to see the advanced technologies that are initially designed for warfare but then become very practical to the average consumer. Nobody likes war. I guess if there is something positive to pull from warfare it would be the technological advancements that emerge. However, I do wonder if these advanced technologies would result without the warfare. Perhaps, in a peaceful world, especially a world where educational opportunities were more equal, this type of technology would â€˜naturallyâ€™ develop. I think Iâ€™ll do some research into this idea. Great article. The difference in accuracy between the military grade and commercial grade systems is remarkably significant. Do you have any idea what the cost of implementing the military accuracy into the commercial system would be? Thanks for this write up, most interesting, indeed. I’ve always been one to be interested the way things work, and this article was really informative on the mechanics and history of SatNav systems. I’ve known the GNSS systems were developed by the US and Russian Militaries, but I had no idea the level of control they still hold over them today. It was also quite fascinating to learn about the specifics of the sensors used in everyday SatNav systems. Anyway, thanks for the interesting and informative post. Thanks for all the info about Sat Nav systems. That is funny how you use equipment everyday without knowing how it works. Really interesting! I was hoping you could help as I do want to buy one. I would like to take it with me when I go on a Holiday, because you always have to pay extra at the car rental place for them. Which one do you recommend? I can use it in my own car and on holiday so that probably also means that the price of the Maps are also important. Hey a great post on GPS navigation systems. I worked as a Testing engineer long back for a Garmin so am familiar with most of the technology behind the scenes and I must say you have covered a lot of details. Also every time today i use anything, be it GPS or my phone I always think that what a fantastic thing ‘Accelerometer’ is, it has really changed our lives, what do you think? I kind of like the idea that if my GPS is being weird then there must be some Black Ops activity in the vicinity. With my GPS the way it is, there must be a BlackOps HQ somewhere where I live. But seriously, I love the why about GPS, it’s a pretty amazing technology when you think about it.